Complete Security and Sound offers $99.00 security system packages to match the big national security companies, but we put a little twist on things by giving our customers a Pay Me Now price or Pay Me Later price. The Pay Me Now price gives you the option of paying for the equipment up front and lower monthly monitoring price rather than financing the equipment over several years with the Pay Me Later price – saving YOU money! All security systems start with a base system. These systems are basic packages that may or may not cover your security needs. At Complete Security and Sound in order to cover your complete security needs we will often recommend optional add-on equipment to you. 1. 2- year agreement instead of the standard 3 to 5 year agreement. 2. 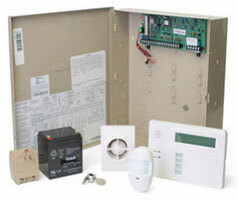 You own your security equipment after the 2-year agreement is fulfilled. 3. 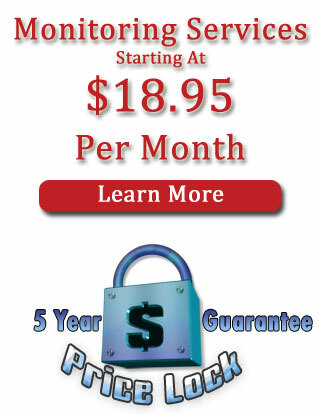 Monthly security monitoring rate goes down when the Pay Me Later 2-year agreement period is fulfilled. You have the option of continuing service at a lower monthly rate or cancelling service. 4. Local installation, service, and invoicing – not some company from out of the area. We do not sell your account after the system is installed. Note: Any extra security devices will be billed for upfront. All customers are subject to a credit check before installation approval. *All plans require a 2-year agreement.